Australia can win Olympic gold in soccer at the Tokyo Games and the women’s World Cup in 2023 if proposed development pathways are adopted, the players’ union says. 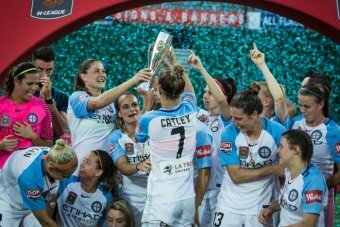 Professional Footballers Australia on Tuesday unveiled a pathway for development of women’s soccer that targets a minimum earnings package of $60,000 a year for the top 60 players in the W-League, a move that it argues would “leverage … competitive advantages” that soccer enjoys. The players’ union, historically one of the more thoughtful and articulate bodies associated with Australian soccer, believes that with a complete rethink about development programs and a far reaching financial overhaul the game will be able to fight back and stand its ground in a marketplace where competition is not just for sponsorship dollars and media attention but for the best athletes themselves. PFA chief executive John Didulica says now is the time for bold and decisive action. “The one thing thing missing from Australia’s CV as a sporting nation is a global trophy from the global game. “Women’s football has the highest participation base among young girls in the country. “Our national team is amongst the very best in the world and our sport offers the prospect of international opportunity like no other. However, we are yet to fully leverage these competitive advantages through the establishment of a genuine professional pathway for our elite players. Currently some $3 million a year is spent on the womens game (a combined figure for all W-League clubs and the Matildas, the best of whom earn around $42,000 a year, while others earn around $32,000), according to PFA figures. Top players augment those payments from the FFA with wages from their W-League clubs and also from contracts playing in overseas leagues during the Australian off season. The union argues that for another $1.5 million a year, it could implement its model and change the face of Australia’s female sporting landscape. “To be the best, we need to be able to offer greatness.Through an increased investment of $1.5 million we can revolutionise the W-League and make it among the best leagues in the world, and significantly grow our talent pool, which is fundamental to our international success and ability to attract and retain the best talent,” Didulica said. The PFA has spent months putting together a detailed package – “Grassroots to Greatness” – which contains a raft of development proposals aimed at strengthening the position of women’s soccer as competition for the best female athletes intensifies. The huge success of the AFL Women’s competition and the bigger money on offer to elite netball players in the newly constituted Australian championship is a shot across the bow to soccer, which is also facing pressure from the Women’s Big Bash League, where crowds and television ratings have been positive. But soccer’s trump card, the PFA argues, was, and remains, the game’s global appeal and the chance it offers to elite athletes to travel, work and compete all over the world in globally recognised tournaments. But it acknowledges that soccer needs to pay its players properly or pay a heavy price. Participation rates for soccer are far and away the best in the country for primary school children and teenagers; the task for the women’s game is to provide a program where the best players can earn enough money to live as full time professionals employed by the national team and their W-League clubs while those who buttress the stars in the W-League teams can at least earn more than the pittance too many now have to accept. The key points of the PFA submission are its $60k for 60 plan, allied to a minimum salary of $11,500 for full time professionals employed during the W-League season and funding to give the womens game the chance to hire high quality international players to bolster their local talent during the regular season. At heart is a desire not just to create a financial safety net but to create a “clear and cohesive” career path for talented juniors into senior women’s football. The union would like to see all W-League clubs field two different age teams in their state NPL competitions to provide up and coming players with the chance to develop their game. The progam also calls for a “10 team competition structured to maximise commercial revenues” where teams play each other home and away in an 18 game regular season. The targets, union officials admit, are ambitious, but can be attained through creative support for women players. The PFA wants the FFA to distribute at least $175,000 a year to W-League clubs to cover payments and says that the clubs themselves need to be generating $385,000 a year from their activities to be competitive. It also pledges to develop a National Womens Football Network to fund flexible employment to female players within the football industry, many of whom now struggle to get time off to play or train properly. 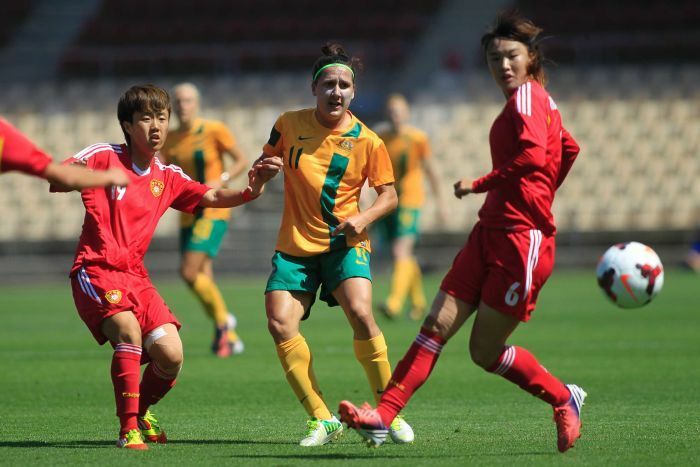 PFA player relations executive and former Matildas captain Kathryn Gill said the womens game had to be central to all aspects of the sport. “The players understand intuitively that we can only tackle the challenges if we improve the game for everyone,” said Gill, the Matildas all-time leading goalscorer. “The women’s game has reached the point of being the largest participation sport for young girls by trading off the good-will of the football community. Matildas goalkeeper Lydia Williams said the lofty targets were realisable. “Things worth achieving are never easy and we know what we can achieve with this model, for the game, for the players and the thousands of young girls across Australia dreaming of becoming the next generation of Matildas,” she said. Brazil face some tough challenges ahead as they plan many international friendly matches for 2017. Brazil Women’s National Team have a hectic and exciting schedule ahead with some strong opponents to battle against according to reports in Brazilian media. In April, Brazil will play Bolivia with Araraquara likely to be the venue – this will take place between 3 and 11 of the month, which are the FIFA dates for international friendlies. From 22 July to 3 August (to be confirmed), the team led by Emily Lima are reportedly taking part in a competition hosted in the United States where they will face USA, Japan and Australia. From 11 to 19 September (to be confirmed), Brazil will travel to Australia where they will play their hosts as well as a match against New Zealand. The calendar is still not completely finished, they have agreed details for matches against Spain (in June), Germany (in July) and Sweden. It is also a strong possibility that Brazil will play China in October and Korea Republic in November. Some of the proposed fixtures have not been confirmed and are dependent on signed contracts. A record number of girls registered for the 2017 Bankwest Girls Day Out. A record number of girls registered to take part in a number of fun on-field football activities at the Bankwest Girls Day Out on Sunday March 12 with some of the Perth Glory Women’s team at Langley Park. The event, hosted as part of Female Football Week, was an initiative which encouraged girls aged five to 16 to participate in women’s football with the aim of achieving positive health and social outcomes. More than 170 girls met Glory Women players including Sarah Carroll, Tash Rigby, Gabby Dal Busco, Morgan Acquino, Lexi Moreno and Abbie Meakins, who are all part of the Football West Club Ambassador Program. Over 30 parents and NTC players also took part in a free ALDI MiniRoos Certificate course on the day which was led by NTC head coach Jessine Bonzas. This course provided an introduction to organising fun football exercises. Thanks to everyone who joined in the fun at the 2017 Bankwest Girls Day Out! The Female Coaches Mentor Program will match inexperienced female coaches with experienced female mentors. The Female Coaches Mentor Program is a new Football West initiative that will match inexperienced female coaches with experienced female mentors. The experienced mentors will offer their inexperienced mentees guidance and support as they develop their skills and confidence as football coaches. The program involves a one-day mentor training program on 29 April 2017 at Gibney Reserve, Maylands. It will initially involve 10 mentors, with a view to eventually linking mentors and mentees within their own clubs. Nominations can be made via the Football West website. Nominations close April 1, 2017. 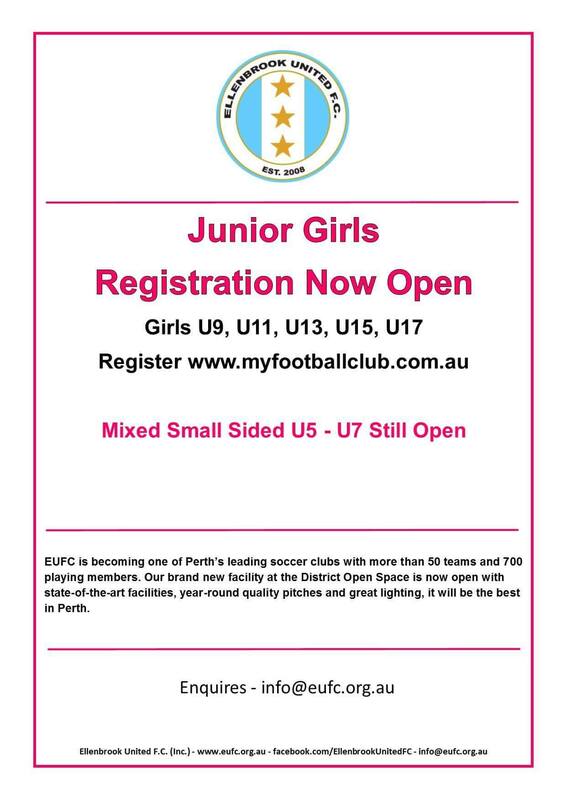 For more information, please contact Football West Women’s Development Officer Sam Watkins: sam.watkins@footballwest.com.au. Related Story: A year of actualisation in women’s sport, but where to now? Former Matildas midfielder Tal Karp believes football is the perfect vehicle to instigate gender equality in sport. The FFA is celebrating Female Football Week — a nationwide initiative that aims to celebrate the extensive impact women have on the round-ball game — but it does so with plenty of pressure on the women’s domestic competition. The W-League had plenty of struggles this season, amid the rise of AFL Women’s overnight success as well as revamps to netball and women’s cricket. But Karp believes the W-League’s achievements in its ninth season were significant and is adamant soccer will continue to be popular among young girls. “The greatest thing football offers me is a form of expression that translates wherever you are,” Karp said. The Football Female Week ambassador, who captained Melbourne Victory in the inaugural W-League season, says the competition continues to be a huge learning curve for the FFA, who in turn have provided a base example for other codes. “I don’t think it’s going to dwindle in participation but like other sports, it needs to take note of growth opportunities elsewhere and make sure that there are great facilities available for women to be playing the game,” she said. “There’s greater appetite for conversation about how we improve things. [FFA chief] David Gallop said at the launch it’s important women’s football is placed in the equation at the outset and that it’s part of everything that we do. There was still much to be encouraged about for the competition’s future. The league continued to attract and produce talent of domestic and international level, while crowd attendances were up 32 per cent. The W-League grand final was the most watched match in its history at 440,000 viewers across free-to-air and pay TV coverage. As someone who lived the experience of representing your country in harder times, Karp has seen a huge change in the way women’s sport and female football is treated. But does she believe there will be a point, across the board, where we all agree gender equality has been reached in the sport? “I commend the fact that we at the FFA are now working on a vision for women’s football moving forward in terms of gender quality and we need to have targets, measurable timelines and so forth to achieve those next steps,” she said. “I think [it’ll be] when we don’t need Female Football Week anymore. When we know we don’t need to specially acknowledge the success of women, we won’t need to continue to recognise barriers remain because barriers won’t remain and in a sense, Female Football Week will be all weeks of the year. Like the Socceroos, the success sustained by the Matildas has helped generate a lot of interest at ground level. Over 105,000 women currently play football, making up 21 per cent of the FFA’s total participation rate. 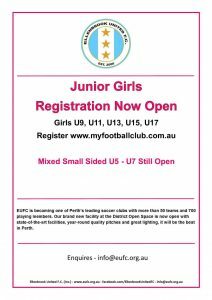 With football now the second largest club sport for girls under 14, the Matildas have demonstrated there are pathways to the elite level and unique opportunities available to football, like the chance to represent your country at a World Cup and Olympics. 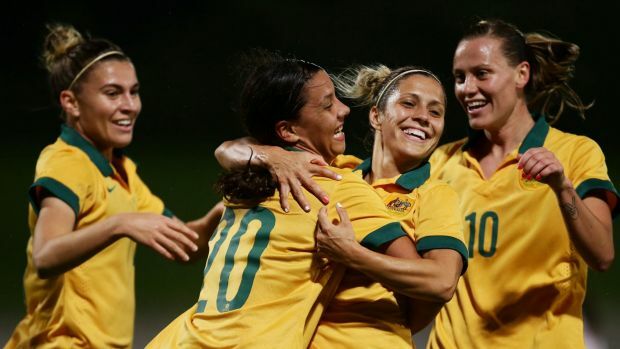 “The Matildas are a credit,” Karp said. “They’re performing so well on the international stage, as reflective of their recent achievements overseas in the Algarve Cup and providing young girls with an opportunity of seeing what they can be in the future. “It’s no longer that you don’t get paid to play the game, you can play against the world’s best and you might even make a career out of it. You can find out about all the events and programs happening within Female Football Week on the FFA’s website.